WHG provides supported housing to customers who require additional support to live independently. Walsall has a higher number of older people than the national average. This includes a high prevalence of people with long term conditions such as COPD, coronary heart disease, obesity and cancers linked to poor life choices. It was against this backdrop that the need for new wellbeing accommodation was identified. whg have developed wellbeing schemes to meet Walsall Council’s agenda of prevention and its need to reduce care and support costs. As of April 2018, whg has three wellbeing schemes, which are designed for the over 55s. We have a further two developments on site, which are expected to open later this year. These schemes have an emphasis on sustaining and improving the health and wellbeing of the customer and reducing the deterioration of long-term health conditions. Customers who move into these schemes are able to use our unique wellbeing service, which provides additional support. Activities are provided to encourage broad community participation and customers are supported in accessing specialist services, a range of exercise classes and gardening and leisure clubs. We have outside services such as community safety and chiropodist that come to talk to customers and we can provide individual support planning and coordination of services for those who require it. Customers also have access to a specialist multi purpose room, where we can also offer individualised support to people living with dementia to reminisce in a safe and suitable environment. Keelson Pointe is an award winning multi-million pound wellbeing scheme, which offers customers aged over 55 the opportunity to plan for the future. 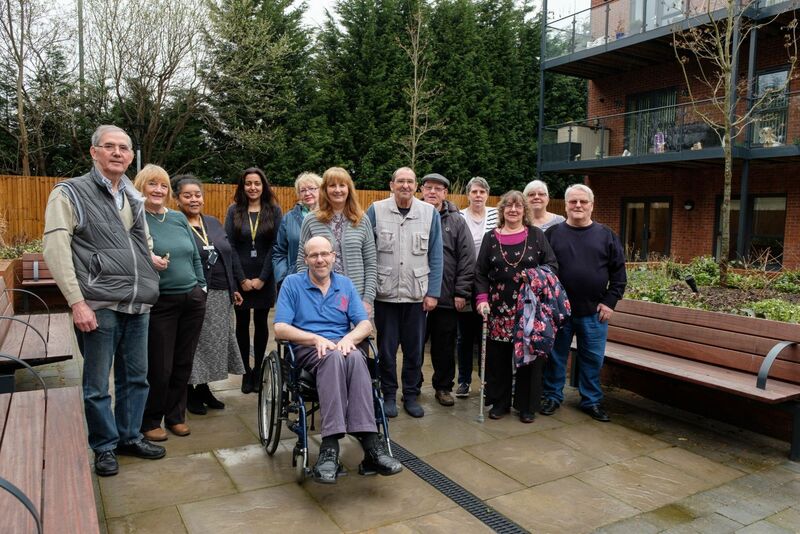 The scheme is an addition to whg’s growing wellbeing portfolio, which offers customers the chance to live independently, with the added benefit of accessing extra support if and when they need it. The scheme consists of 66 high-quality, affordable homes for rent. There are 33 one-bedroom and 33 two-bedroom self-contained apartments, spread out over four floors. Currently, 90 customers live in Keelson Pointe. Each apartment is fitted to a high specification with a modern, stylish design and comes with a range of features, including a walk-in shower, gas boiler and washer dryer and access to balcony patio space for each apartment. The development also includes communal lounges for social and leisure activities, a treatment room for health services such as chiropody services, a lift to all floors and ample car parking spaces. There is also a garden and courtyard area. Customers at Keelson Pointe benefit from whg’s affordable and flexible wellbeing service, which offers additional support if they require it and the range of support can include regular home visits, engagement with leisure activities, help with sourcing appropriate care services and activities which will encourage people to stay well and happy and at home. A designated wellbeing officer works with customers from the moment they decide to rent, helping with setting up their new home. Keelson Pointe is an addition to whg’s existing portfolio of wellbeing schemes. Among the portfolio is the award-winning Cardan Pointe development, on the Waterfront in Walsall. This £5.5 million scheme was officially opened by Walsall South MP Valerie Vaz and was awarded West Midlands Development of the Year at the Chartered Institute of Housing (CIH) Midlands Awards 2016. Clare Thomas, whg’s Head of Health and Wellbeing, said: “Keelson Pointe is in a central location with easy access to shops, leisure, social and community facilities and it also benefits from great transport links. It is a great benefit to the local area and customers are part of a new community, where they can make new friends. "I went along to an open day and I just loved the look and feel of the place. I wanted to move out of my current home as I had to undergo a major operation last year. Because of this, my lifestyle changed and I lost my independence. At Keelson Pointe, I have the opportunity to get additional support if I require it through the wellbeing service. I feel safe and secure in my own home, have regained my independence and have made new friends."